In 1920, 14 percent of all land-owning US farmers were black. Today less than 2 percent of farms are controlled by black people—a loss of over 14 million acres and the result of discrimination and dispossession. While farm management is among the whitest of professions, farm labor is predominantly brown and exploited, and people of color disproportionately live in “food apartheid” neighborhoods and suffer from diet-related illness. The system is built on stolen land and stolen labor and needs a redesign. Farming While Black is the first comprehensive “how to” guide for aspiring African-heritage growers to reclaim their dignity as agriculturists and for all farmers to understand the distinct, technical contributions of African-heritage people to sustainable agriculture. 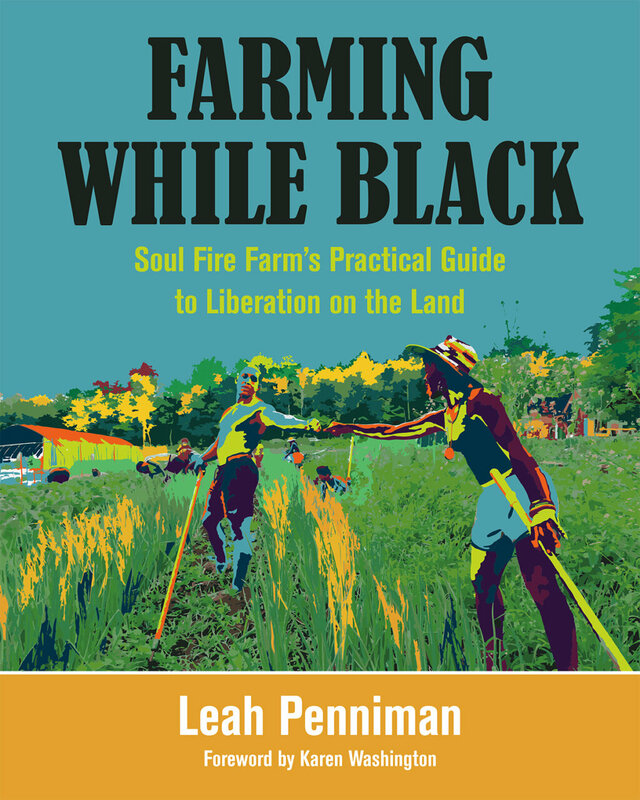 At Soul Fire Farm, author Leah Penniman co-created the Black and Latinx Farmers Immersion (BLFI) program as a container for new farmers to share growing skills in a culturally relevant and supportive environment led by people of color. Farming While Black organizes and expands upon the curriculum of the BLFI to provide readers with a concise guide to all aspects of small-scale farming, from business planning to preserving the harvest. Throughout the chapters Penniman uplifts the wisdom of the African diasporic farmers and activists whose work informs the techniques described—from whole farm planning, soil fertility, seed selection, and agroecology, to using whole foods in culturally appropriate recipes, sharing stories of ancestors, and tools for healing from the trauma associated with slavery and economic exploitation on the land. Woven throughout the book is the story of Soul Fire Farm, a national leader in the food justice movement. The technical information is designed for farmers and gardeners with beginning to intermediate experience. For those with more experience, the book provides a fresh lens on practices that may have been taken for granted as ahistorical or strictly European. Black ancestors and contemporaries have always been leaders—and continue to lead—in the sustainable agriculture and food justice movements. It is time for all of us to listen. “Kwame Nkrumah, the first president of post-colonial Ghana, once said, ‘Practice without thought is blind; thought without practice is empty.’ If we are serious about creating justice and equity, our practice informs our theory and our theory gives meaning to our work. Leah Penniman’s Farming While Black is rooted in Leah’s real experience at Soul Fire Farm, which she cofounded. 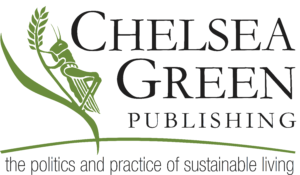 The book effortlessly weaves together theoretical strands on land and food justice, gender, racism, and movement building with best practices on soil health, crop planning, seed keeping, and a variety of other topics. “Farming While Black makes an important contribution to the growing body of literature on Black farming and foodways. 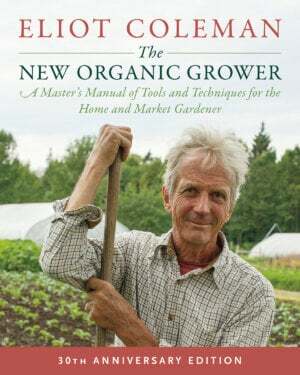 The book affirms our sacred relationship to the Earth and calls for us to move beyond the extractive mindset that guides conventional agriculture and, all too often, organic agriculture as well. This unique how-to guide reflects Leah’s clear analysis of the impacts of ‘the system of white supremacy’ and colonialism on the food system and calls for us to reclaim our ‘real power and dignity’ through creating systems that serve our needs and are rooted in justice, equity, and spirituality. In her usual generous way, Leah also highlights others doing this critical work including Karen Washington, chef Njathi Kabui, and the National Black Food and Justice Alliance. Leah Penniman is a Black Kreyol farmer who has been tending the soil for twenty years and organizing for an anti-racist food system for fifteen years. She began with the Food Project in Boston, Massachusetts, and went on to work at Farm School in Athol, Massachusetts, and Many Hands Organic Farm in Barre, Massachusetts. She cofounded Youth Grow urban farm in Worcester, Massachusetts. She currently serves as founding co-executive director of Soul Fire Farm in Grafton, New York, a people-of-color led project that works to dismantle racism in the food system through a low cost fresh food delivery service for people living under food apartheid, training programs for Black, Latinx, and Indigenous aspiring farmer-activists, Uprooting Racism training for food justice leaders, and regional-national-international coalition building between farmers of color advocating for policy shifts and reparations. She has dedicated her life’s work to racial justice in the food system and has been recognized by the Soros Equality Fellowship, NYSHealth Emerging Innovator Awards, The Andrew Goodman Foundation Hidden Heroes Award, Fulbright Distinguished Awards in Teaching Program, New Tech Network National Teaching Award, Presidential Award for Excellence in Teaching (New York finalist), among others. She has contributed to two published volumes, authored numerous online articles, and given dozens of public talks on the subject.